Packt Publishing is allowing me to give some copies of Learning DHTMLX Suite UI out for FREE! 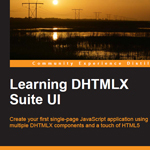 Hi Everyone I am really pleased to announce the release of the short book of “Learning DHTMLX Suite UI”. It covers the basics of the DHTMLX Components Suite and walks you through building a single page application using multiple components. 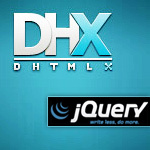 Quickstart Guide to DHTMLX, and of course, with jQuery. This is a quick start guide on how to get moving in DHTMLX, I’ll show how to implement a layout. And of course including the jQuery library to assist in some of the logic in later tutorials.